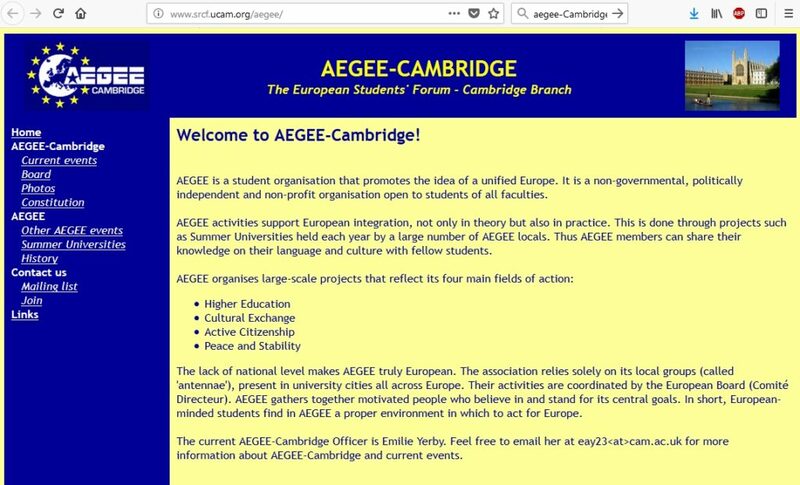 AEGEE-Pavia, AEGEE-Craiova, AEGEE-Antwerpen, AEGEE-Cambridge: they are all dead. But… on the Internet they are still alive. 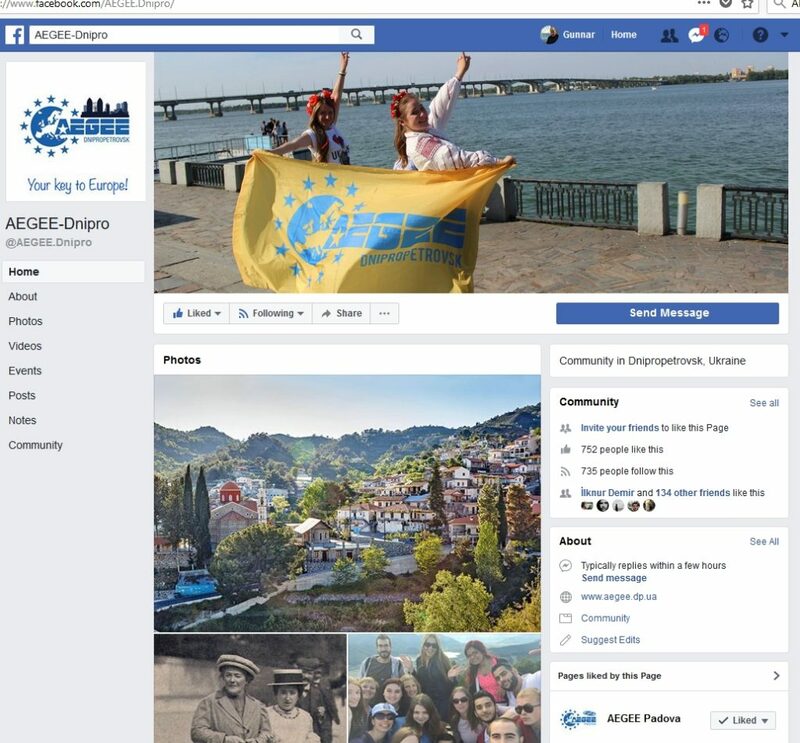 Many of the more than 500 AEGEE locals and contacts created webpages or Facebook accounts – and when some of them died, their webpage stayed. The Golden Times had a look at some of them. Enjoy the screenshots and the stories behind! There are not many antennae in Belgium. AEGEE-Antwerpen existed between 2009 and 2011. They stayed Contact Antenna, never organised anything and consequently deleted. 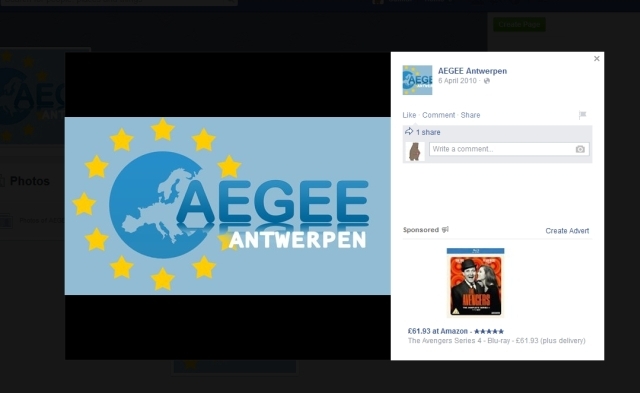 However, they had time enough to make a Facebook page in 2010 – with a very original AEGEE logo. 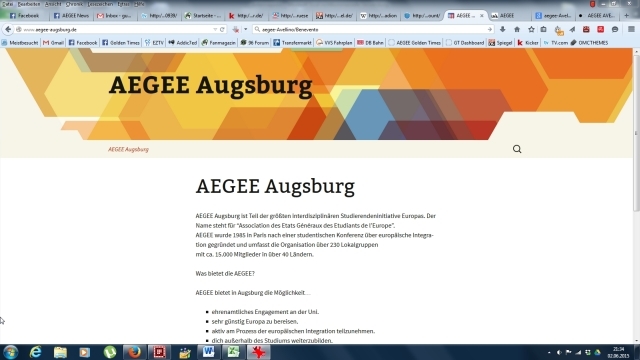 Without AEGEE-Augsburg there might have been no Network Commission or AEGEE Academy. Both of them were created by AEGEE-Augsburg alumni and AEGEE-Europe honorary member Bernhard Müller. Also ex-CD member Andrea Werner and former Academy speaker Eric Krier were among the members. In 2011, after nearly 20 years of existence, the antenna died – but their website lives on! Avellino and Benevento are nice towns near Napoli. And together they shared an antenna, which lived for nearly 10 years, before it died in 2012. You can still enjoy their photos, because they have an account on Flickr with a nice photostream. AEGEE-Blagoevgrad was once a nice and active antenna in Bulgaria, placed at an American university. It was never a big antenna though and one day they ran out of members. 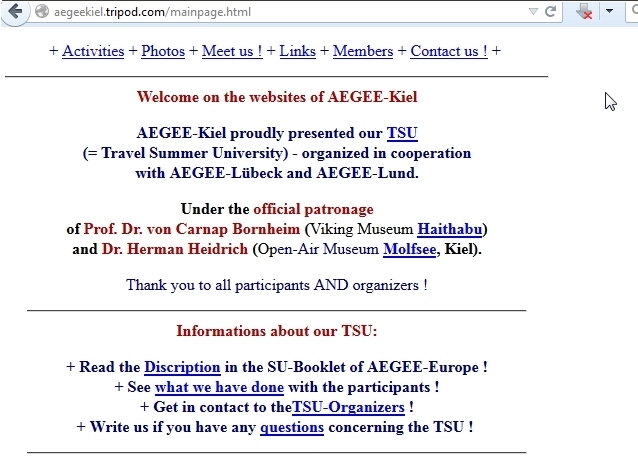 Their story ended in 2004, however, there are still traces of them on the Internet, as their website http://members.tripod.com/AEGEE_Blagoevgrad/ proves. As the website shows, they are in the process of organising an event in autumn 1999 and all 69 members are listed. By the way, in 2001 the antenna made a new website, not hosted by the provider Tripod, but by the university. They did not bother to remove the old one, so while the later established website died with the antenna, the previous one stayed online. 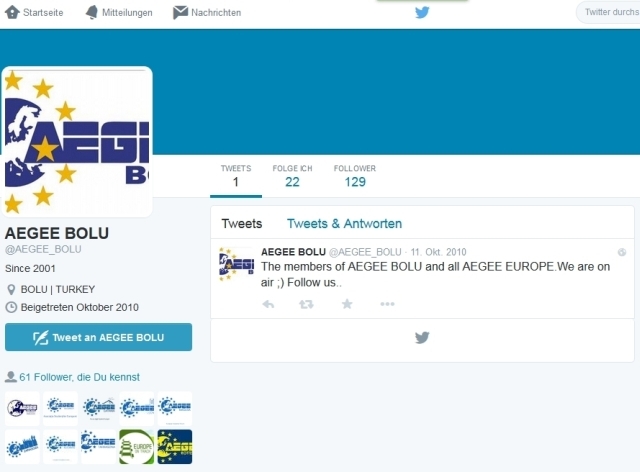 You probably haven’t heard from AEGEE-Bolu, although the Turkish antenna existed from 2002 till 2013. This zombie antenna is still on Twitter – with 124 followers and one tweet. AEGEE-Bordeaux: Comic Sans is still alive! AEGEE-Bordeaux was one of the many locals that were founded twice. The original one was one of the very first locals and lived from 1986 to 1996. It was revived in 2002, when Mariann Weiszenberger, a Hungarian exchange student, decided to found it again. Unfortunately it lived only for a year, but a website, created in spring 2003, is a still existing silent witness of this short revival. There AEGEE has still 280 locals and the CD 9 members… Moreover, the font is Comic Sans, a font which is not that popular anymore, but gives the page a special touch. Note: the site was deleted in 2018. 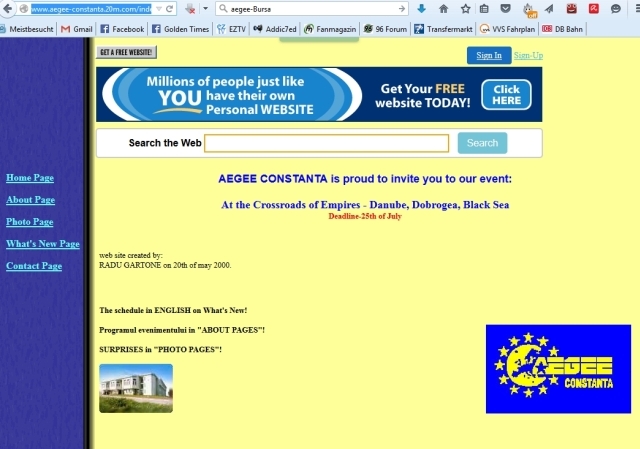 AEGEE-Constanta lived from 1999 till 2009. 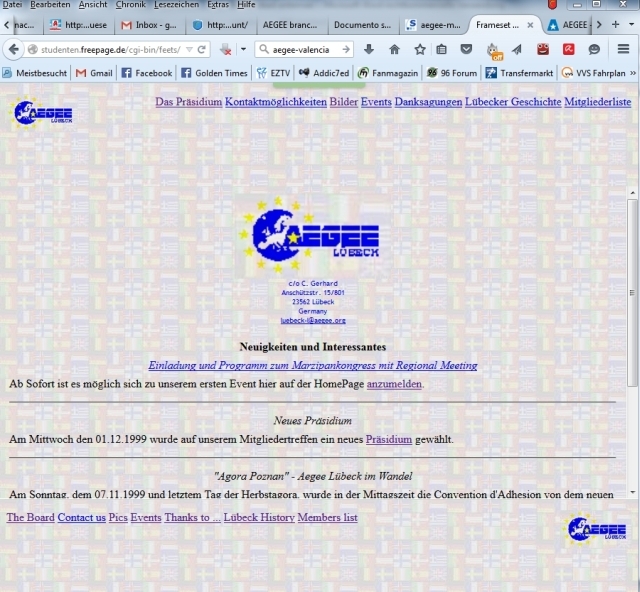 In 2000 they experimented with their first webpage, with a design in classic 2000 elegance. In 2002, they made a new website. Unfortunately, we cannot open the link to the new one anymore, because of malware or Trojans on that page. Let’s complete this tour through Romania with a visit to AEGEE-Craiova’s homepage. Wow, this grey is amazing! 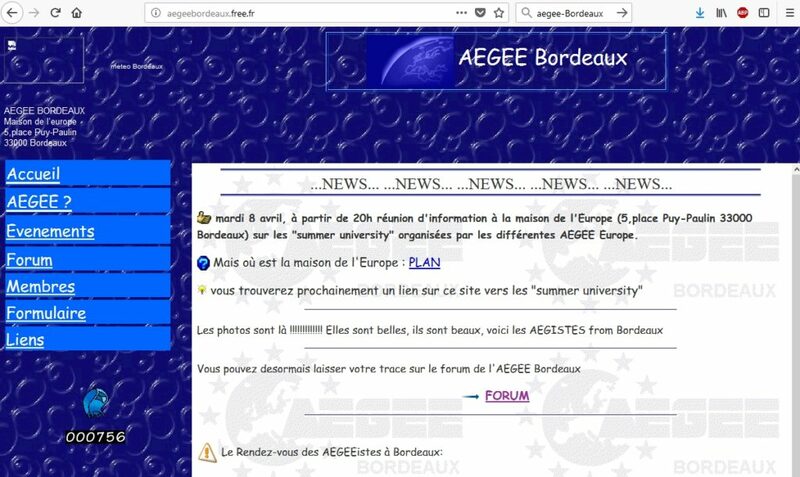 And the embossed logo… Well, nearly all AEGEE websites of the mid-90ies had a grey background, some tables, moving gifs and – as special layout item – horizontal lines! This page was used for the last time in 1999, but still has the style of 1995. 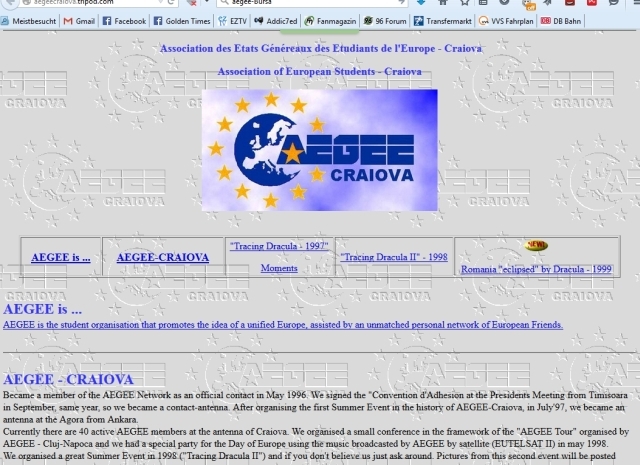 By the way, AEGEE-Craiova was deleted in 2013 – and of course they had a more modern website later – but that one is offline. If just the social media responsible had been as much in love with Twitter like Donald Trump! 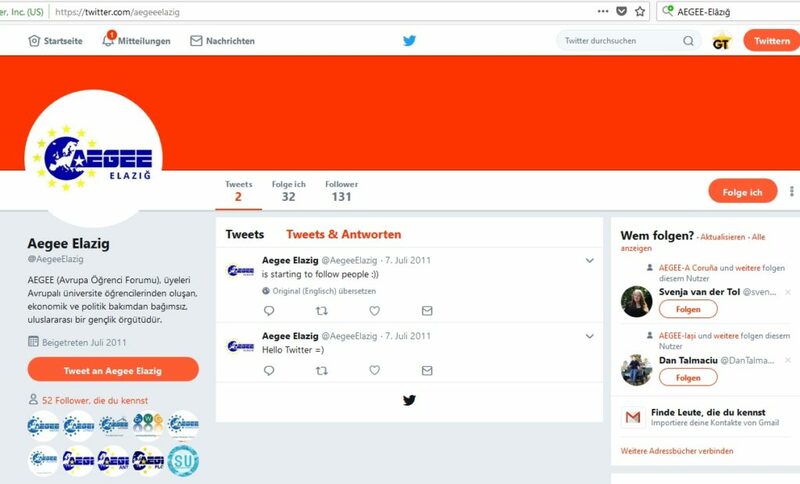 Maybe the Turkish antennae would still be alive… The sad truth: AEGEE-Elâzığ existed from 2011 to 2013, before it went to AEGEE heaven… Just the Twitter account stayed, with two tweets and 131 followers. Only 81 antennae have more fans on Facebook than AEGEE-Foggia. With 1707 followers the former Italian local is the most popular dead antenna by far! The runner-up, AEGEE-Kragujevac, has “only” 1298 fans, but also a Facebook person profile. 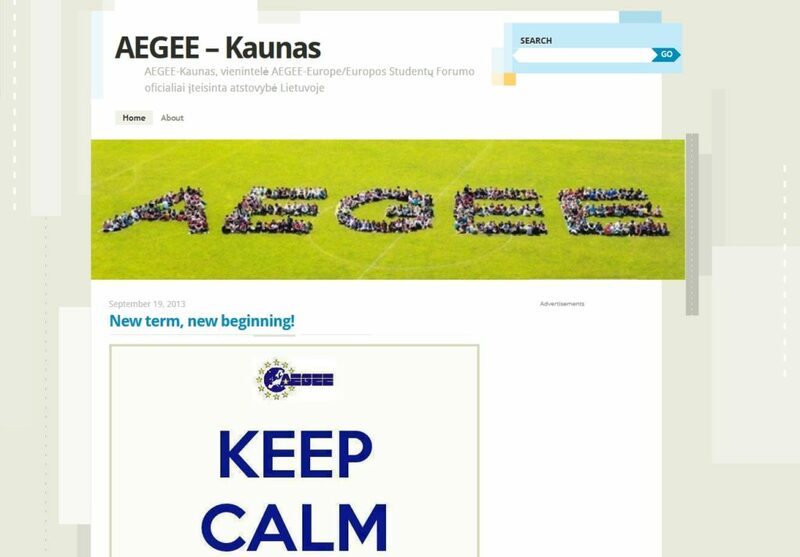 By the way, AEGEE-Foggia existed from 2013 to 2016, AEGEE-Kragujevac from 2005 to 2017. Switzerland has always been one of the toughest grounds for AEGEE. Not many antennae existed there. Today there is none. Let’s have a look at AEGEE-Fribourg. It existed three times: in 1990, from 1991 to 1995 and then again from 2004 to 2014. In the final period the antenna experimented with social media and webpages. AEGEE-Fribourg created a strange website with only two inspirational quotes as content: “We are asking the nations of Europe between whom rivers of blood have flowed to forget the feuds of a thousand years” (Winston Churchill February 14, 1948) and “Soon nostalgia will be another name for Europe” (Angela Carter). Too bad the link to the AEGEE-Europe page doesn’t work. Later, the antenna discovered Facebook, but also that chapter ended in 2013. 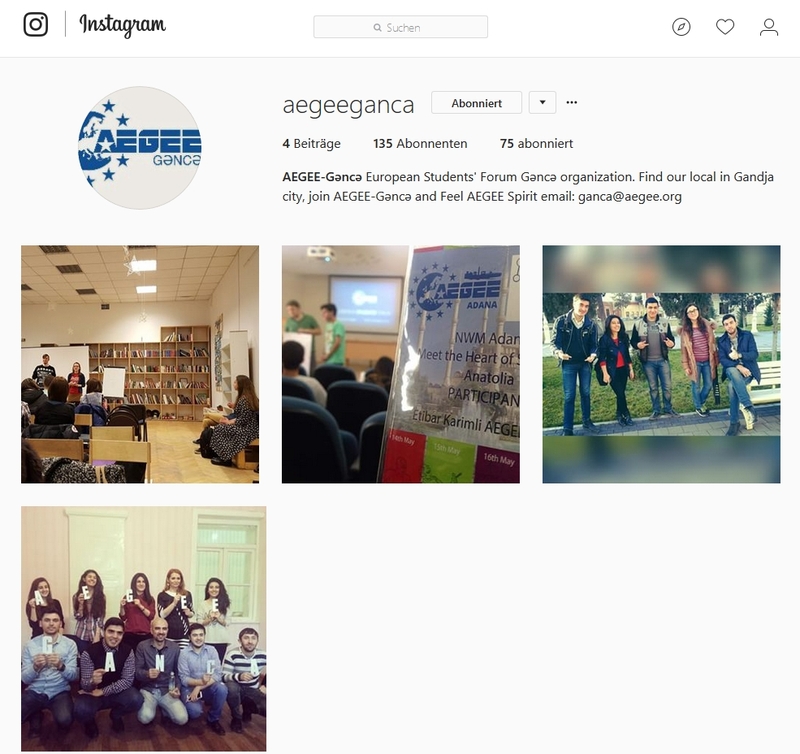 It hasn’t been so long that AEGEE antennae use Instagram. But there is already one that used this picture tool and died: AEGEE-Gəncə. In 2017 the antenna, which was founded twice, was deleted. But at least its Instagram page remains – with four lonely photos. 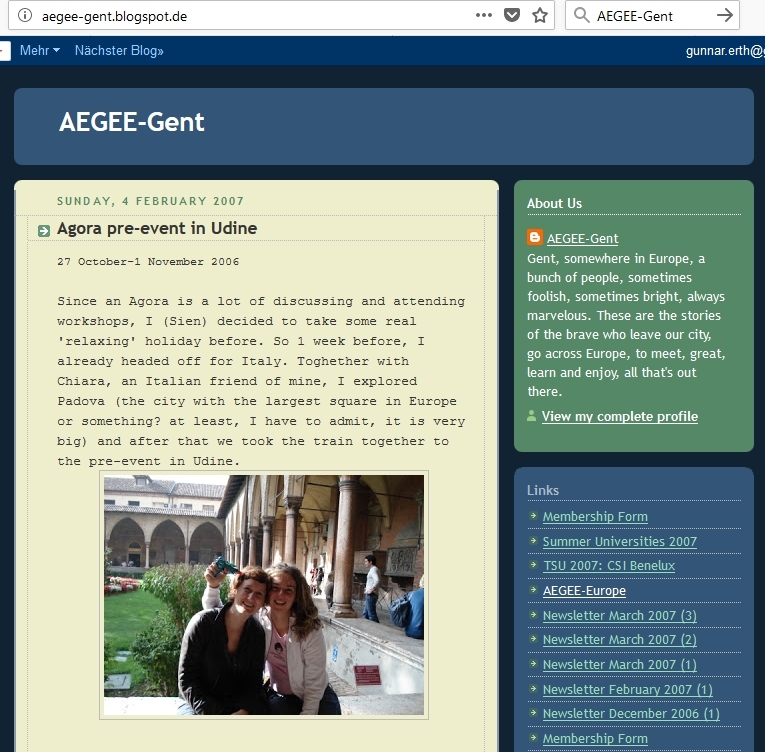 Founded at Agora Napoli in November 2006, AEGEE-Gent was deleted in spring 2010. In this short time the Belgian antenna managed to create a blog page in 2007, where the founding members told the story how the antenna was founded, together with the founders and the Convention d’Adhesion. AEGEE-Gießen gave us with Peter Ginser a President of AEGEE-Europe and Kamala Schütze an Honorary Member. At the European School in 1999 the idea for the AEGEE-Academy was created. It’s a special antenna. And it was founded twice. The first run was from 1995 to 2005. In April 2007 it was revived, but in autumn 2011 it was gone again. The website of this second period is still online. You can determine pretty well when it was abandoned: in autumn 2009. 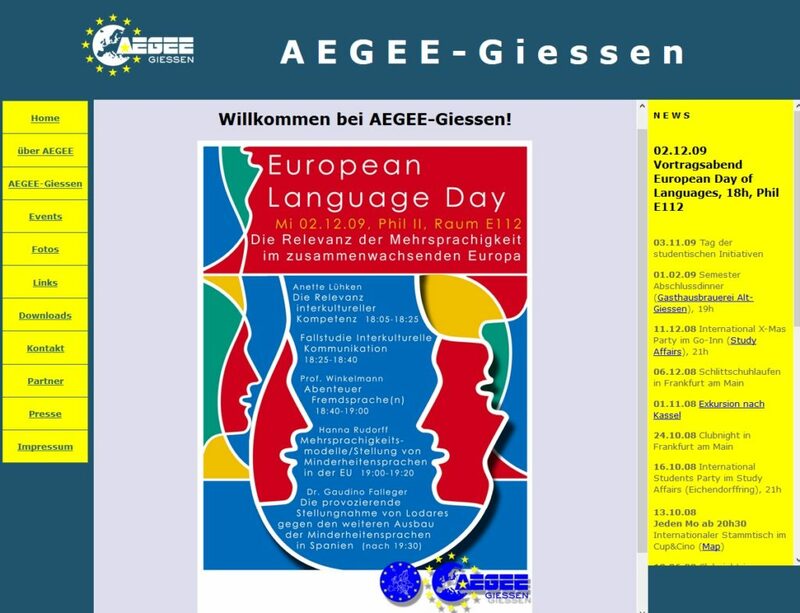 From that time there is a calendar of events and a promotion picture for the European Day of Languages. 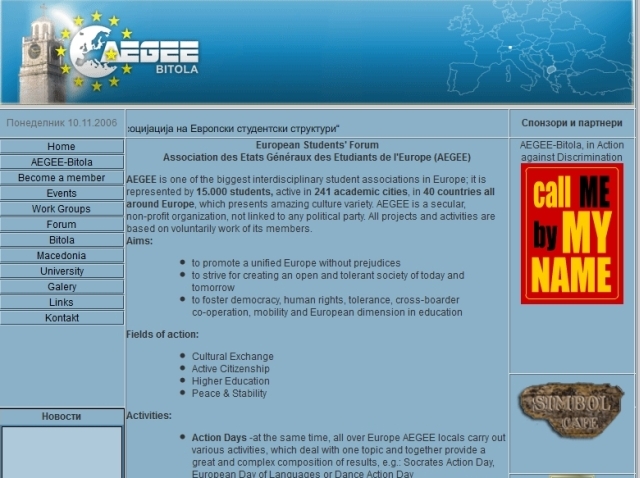 AEGEE-Kaliningrad started in 2002 and disappeared in 2010. They also created a website, with information in Russian – and not even much. More interesting is the photosite they used, which shows us images of a couple of events from the foundation year 2002 – afterwards the page was abandoned. Do you remember Foursquare, the local search-and-discovery service app? It was quite popular around 2010. They still exist, but lost popularity. 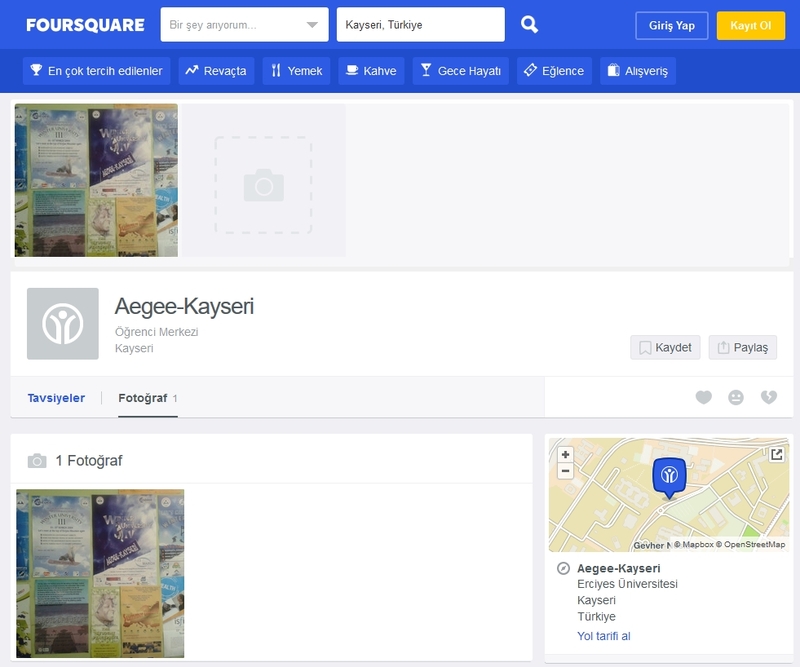 AEGEE-Kayseri was one of the few locals that presented itself on this platform. But that’s not all, the Turkish local, which existed from 2000 to 2015, was also on Twitter and had its own Youtube channel! AEGEE-Kragujevac existed for 12 years, from 2005 to 2017. What did young hip people do around 2005? Yes, they created space on Myspace – the social network that disappeared when Facebook started to become a hot item. Sustainability is everything – also in PR. But often forgotten. 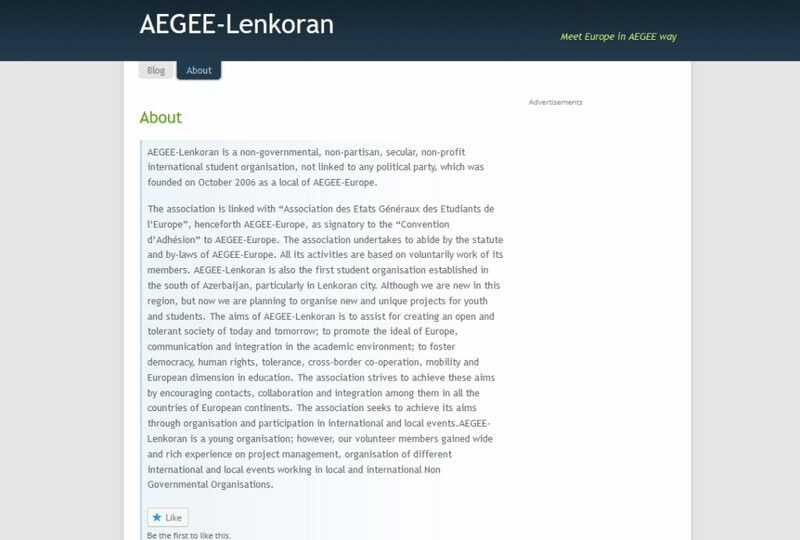 AEGEE-Lenkoran in Azerbaijan was founded in 2006 and stopped in 2010. In 2007 the young antenna had the idea to create an own blog on WordPress, like so many others. Well, they did. But gave up after three posts. They also made a Flickr account in 2005, when they were still a Contact – and forgot about it after 11 pages. 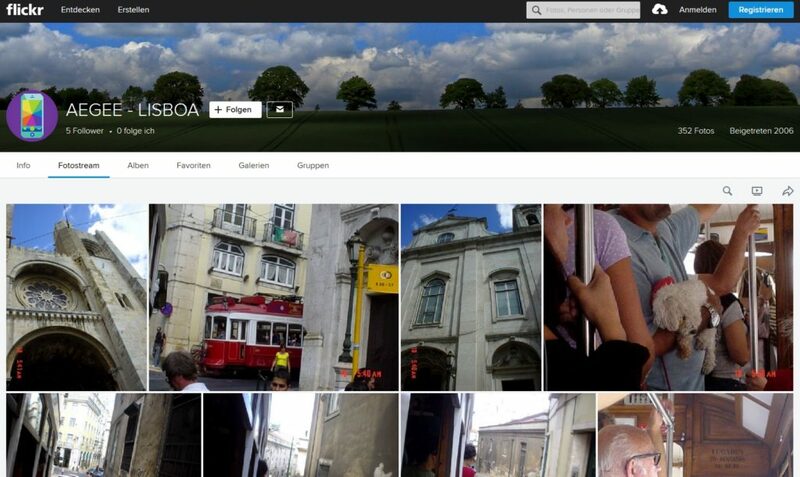 AEGEE-Lisboa used Flickr a lot – 352 pictures are online! 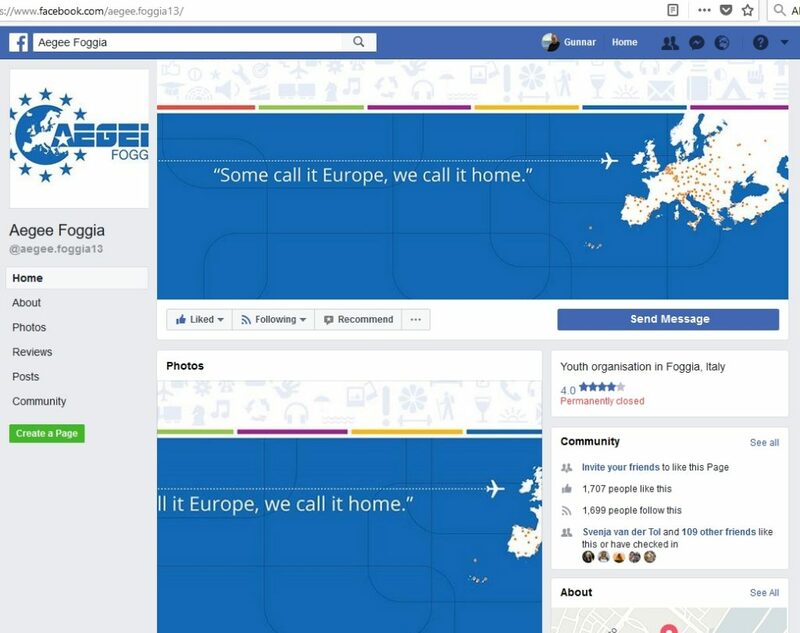 But… it’s not the current AEGEE-Lisboa, which was created in 2017. It was the first AEGEE-Lisboa, which was part of the network from 2005 to 2010. They created a very simple and boring website in 2006 and the mentioned nice Flickr photostream in the same year. Just too bad they gave up – making AEGEE at the border of Europe is not so easy. 1996 to 2011 and 2012 to 2015 – these are the dates when AEGEE-Łódź existed, one of the antennae whose spelling looks different from the pronunciation – at least for non-Polish speakers. It is really a pity that this antenna is gone. In 2009 the antenna made the attempt to present itself with an own website. But… it wasn’t very successful – one year later it was downgraded. A yellow logo in front of a globe. Looks flashy, but probably makes every Visual Identity freak feel dizzy. 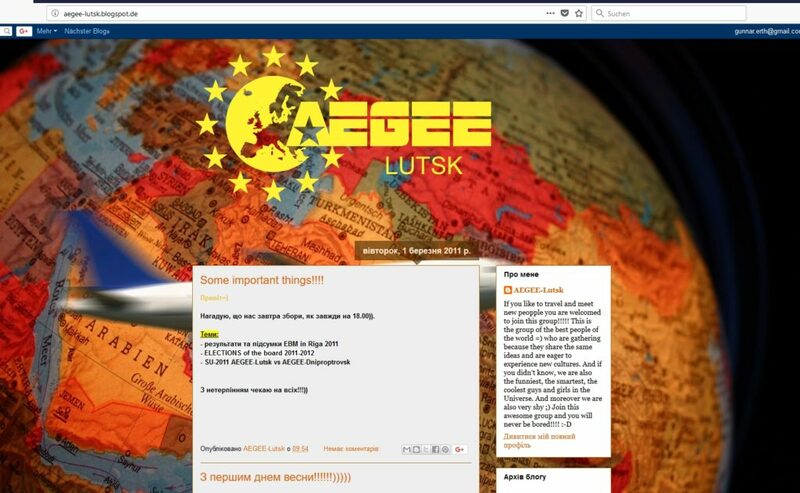 AEGEE-Lutsk created its webpage in 2011, posted four posts and then forgot about it. Such a pity, because it’s one of the many Ukrainian locals that shut down in this decade. AEGEE-Lutsk was around from 2009 to 2014. Not far from Kiel is Lübeck, once queen of the Hanseatic League and second biggest German city in the medieval times. The antenna lived only a few years, from 1999 till 2001, when a few board members moved away and the president had a new boyfriend and no time for AEGEE anymore. 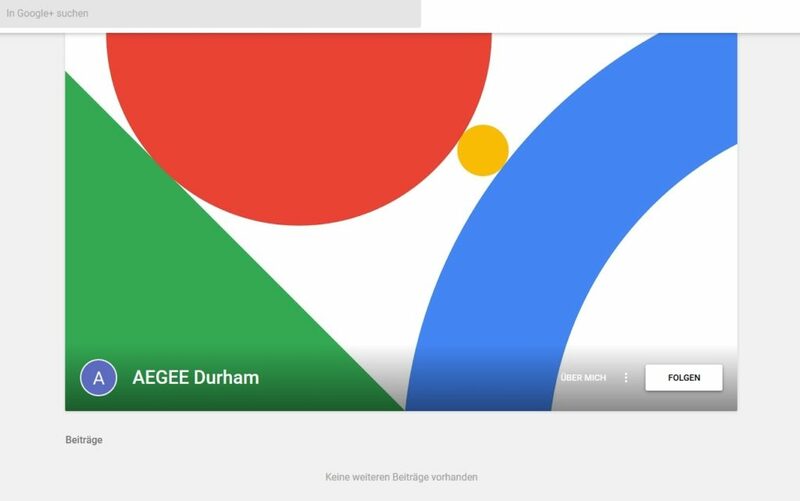 Their website uses another infamous classic AEGEE website design: the tiled flags in the background. Real highlight however is the logo with 126×69 pixel. 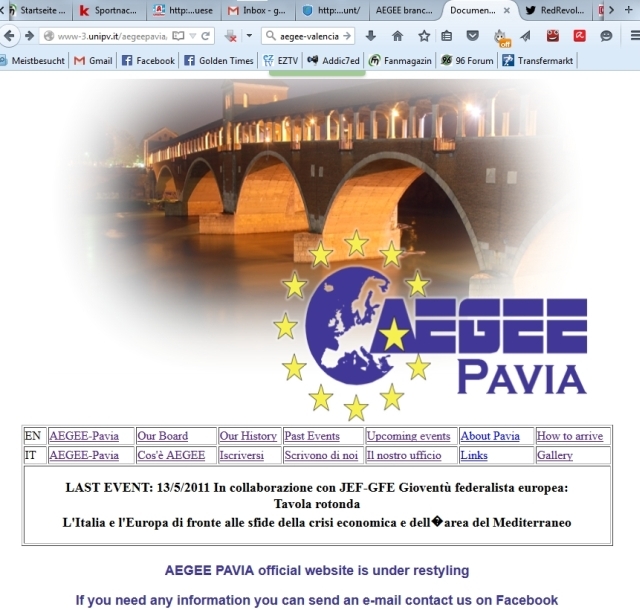 On 30th of April 2012 AEGEE-Pavia announced that they have a new board. This was the latest message on this website ever. A few months later in the same year, the antenna was deleted. Everything happened so fast that no one took the website offline. Which is actually nice, because you can see their great history – for example an exchange with AEGEE-Oslo – and browse their photo archive. “You must not have a national level.” That’s basically the first commandment of AEGEE. 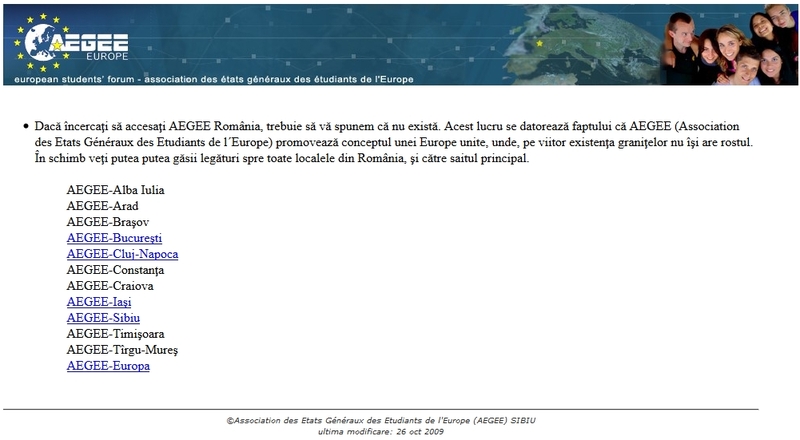 Some members of AEGEE-Sibiu created a website called AEGEE-Romania with the address http://www.aegee.ro/. Of course they mention that there is no AEGEE-Romania, but the list of 11 antennae in the Balkan land is quite outdated – well, the last update of the page is from 26th of October 2009. Today, only five are left and AEGEE-Sibiu itself has been downgraded to Contact Antenna. AEGEE-Valencia is not dead at all, it’s alive and kicking! They also have a very modern website! However, they also have a zombie website: http://www.upv.es/aegee/. Someone removed nearly all the content, when they made the new site, but the starting page remained – unfortunately without a link to the new site. Unfortunately, my personal favourite among all zombie websites went offline in 2017: the one of AEGEE-Veszprém. You never heard of this antenna? Veszprém is a beautiful town in Hungary, not far from Lake Balaton. AEGEE-Veszprém was founded in 1992 and deleted ten years later. The design of the site is classic mid-90ies. In fact, after 1997, the page was never again updated. To tell the truth, not much happened there after 1998, the last board looked pretty much the same as the one in 1998. The antenna continued to exist for a while on paper, mostly to enable other Hungarian antennae to send more people to Agoras. Not the only one in the network with that purpose. 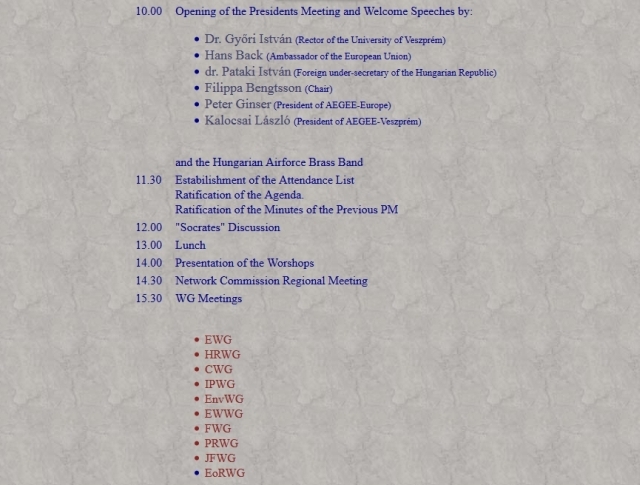 Anyway, the highlight of the antenna was the Presidents’ Meeting in September 1997. the PM is the predecessor to the EBM and EPM – and it took place twice per year! 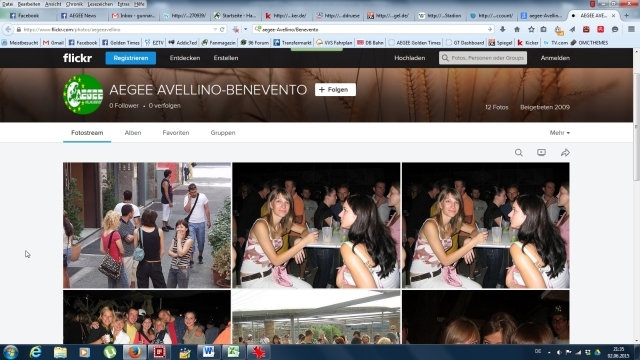 This website gives us a great picture, how statutory events in AEGEE looked like back then. One difference to today: you did not apply on a central website, but directly at the local organiser. Not the chair was picking the participants of the PM or Agora, but the local organisers. The CD was not involved either, because usually a government does not choose its members of parliament. The PM organisers of AEGEE-Veszprém were updating the list of participants regularly, 240 people were selected. Very interesting is this remark: “The application deadline is over right now, if somebody would like to join the PM from the date of September 8th we are going to charge the antennas for 10 ECUs for applying late. Sorry about this.” It was also important to bring the membership card: “Secondly, everybody please bring your membership cards, because the CD is going to charge you with 20 ECUs, if you are not going to have it by you.” It was also interesting to see that the organisers had a mobile phone, which was not common in 1997! 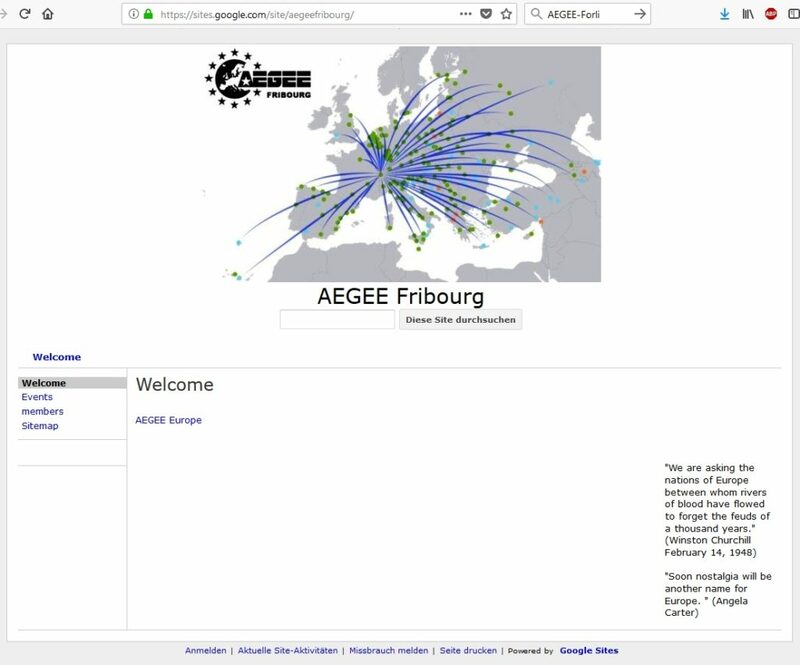 Finally: When you click on the website on the link AEGEE-International, it tries to refer you to http://www.uni-konstanz.de/studis/aegee/europe.html, which was the address of the first AEGEE-Europe website. But that one also went offline a while ago. I hope you enjoyed this little tour across the AEGEE zombie websites!